Beijing is imposing harsh fines against polluting enterprises in an attempt to cut down on the region's notorious smog. Beijing's environmental watchdog said it levied fines of 7.09 million yuan ($1.14 million) on owners of 266 coal-fired boilers from November to March. 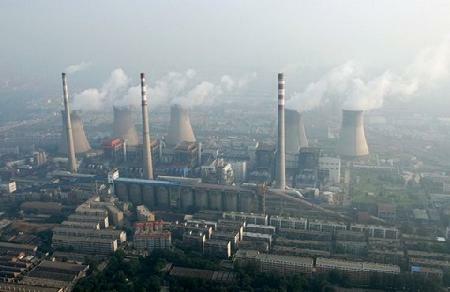 Beijing's environmental watchdog said it levied fines of 7.09 million yuan ($1.14 million) on owners of 266 coal-fired boilers from November to March. That is more than double the figure from the previous season, when regulators fined 127 companies a total of 3.01 million yuan. Most of the companies were fined for excessive smoke exhaust, lacking or having faulty emission-monitoring facilities and leaving coal dumps uncovered, the Beijing Environmental Protection Bureau said during a news briefing on Tuesday. Beijing's bureau of city administration and law enforcement also handed down fines on construction sites for excessive emissions, having illegal outdoor barbecues and for burning household waste and straw outdoors on the outskirts of the city. The law enforcement bureau said construction sites and vehicles transporting construction waste were fined 1.1 million yuan over the past three months. Beijing has outlined stricter and more detailed punishments for excessive emissions, including on construction sites, coal-fired boilers, chemical companies and vehicle owners. The regulation, which went into operation in March, gives more authority to environmental departments and is the first time the capital has established a law to reduce air pollution, said Fang Li, spokesperson and deputy head of the bureau. Ma Jun, director of the Institute of Public and Environmental Affairs, said stricter punishments against polluting enterprises and the suspension of companies during polluting weather has played a significant role in improving air quality. The smog that shrouded the capital on Monday dissipated on Tuesday afternoon, with the concentration of PM2.5, or particulate matter with a diameter smaller than 2.5 micrograms that is extremely harmful to health, dropping to 53 micrograms per cubic meter in downtown Beijing by 4 pm, according to the Beijing Environmental Monitoring Center. It had reached 155 micrograms per cubic meter around noon on Tuesday. The center predicted the smog will disperse on Wednesday. Cities in Hebei province also witnessed serious pollution on Tuesday, with the AQI, or air quality index, reaching 262 in Langfang and 220 in Tangshan around noon on Tuesday. According to the bureau, April will witness crackdowns on cement and mining plants, outdoor barbecues, construction sites and vehicles.